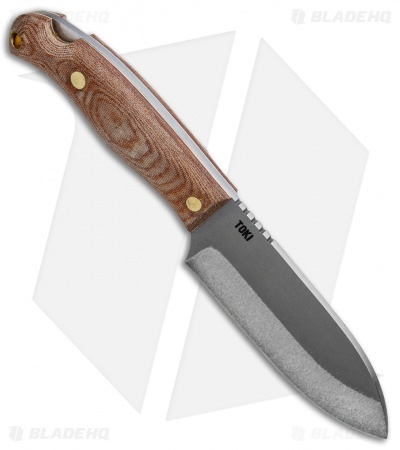 The Condor Toki Knife is named after a 15th century Chilean tribal leader. This outdoor fixed blade is built with a full-tang 1075 high carbon steel blade in a blasted finish. 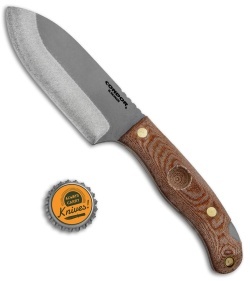 Its handle sports contoured tan micarta scales with a palm swell and a divot for use as a bow drill. The Toki includes a heavy-duty leather sheath with a dangler attachment for belt carry. 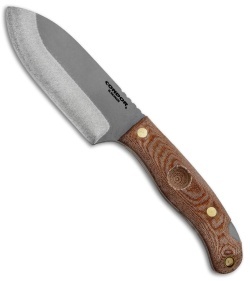 U-shaped ferro rod and 90-degree section of exposed tang for convenient striking. Rounded micarta handle and jimping on the blade spine offers added control and grip security. 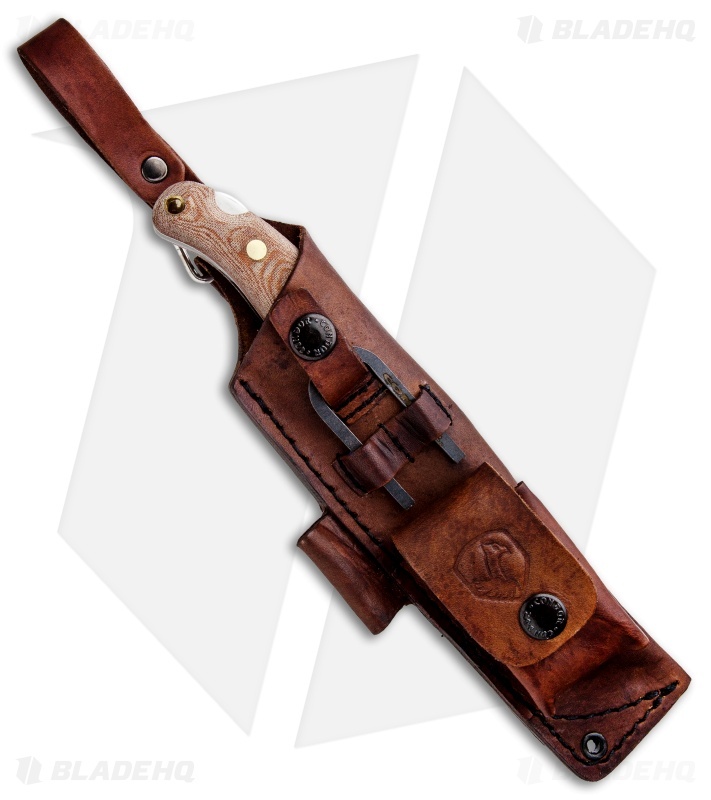 Hand crafted welted leather belt sheath with storage pouch.